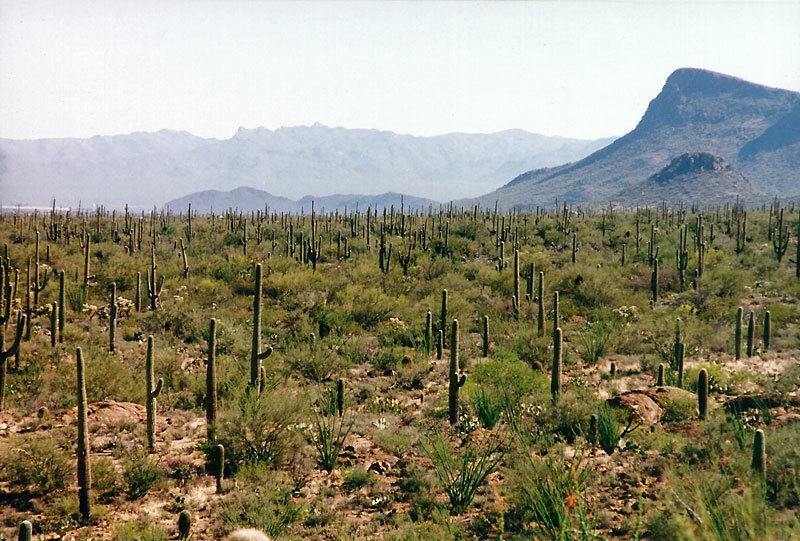 This view of a saguaro forest was taken from the end of the Desert Ecology Trail. 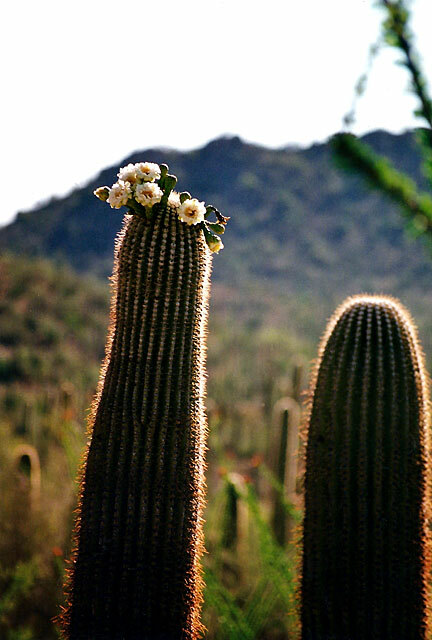 This short walk is found on the very scenic 9-mile Bajada Loop in the Tucson Mountain (West) District of the park. I visited the area in mid-April and found plenty of Saguaro and Ocotillo in bloom. This picture was taken on the Valley View Overlook Trail, an easy 1.5 mile round trip which is also found on the Bajada Loop. 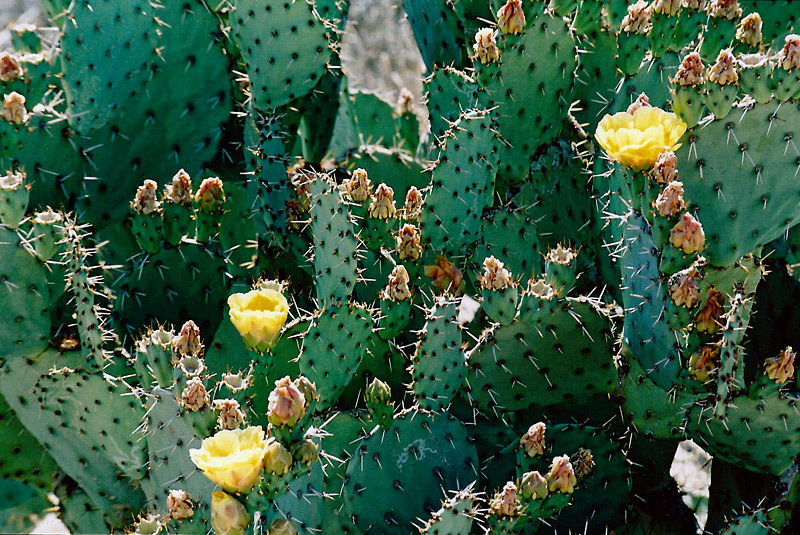 This picture of a Prickly Pear was taken at the nearby Arizona-Sonora Desert Museum. 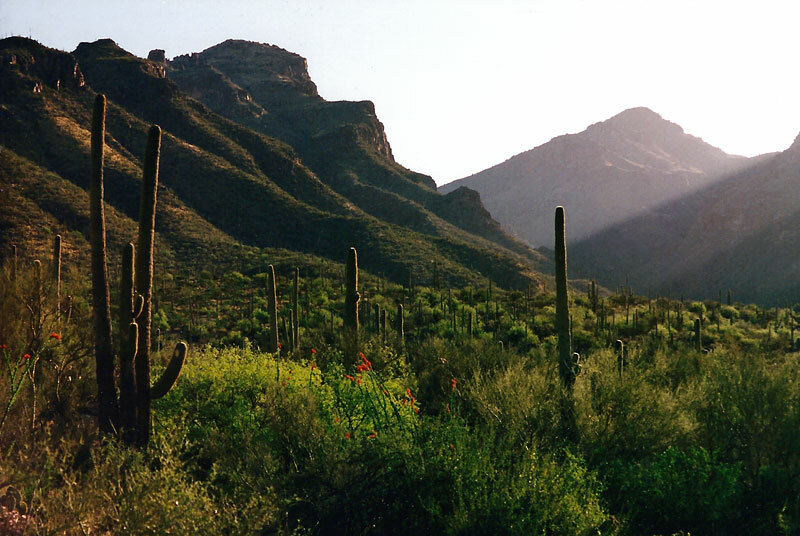 The Sabino Canyon recreation area is near the Rincon Mountain (East) District of the park. It's a very scenic area with a great many opportunities for dayhiking, walking, and touring.